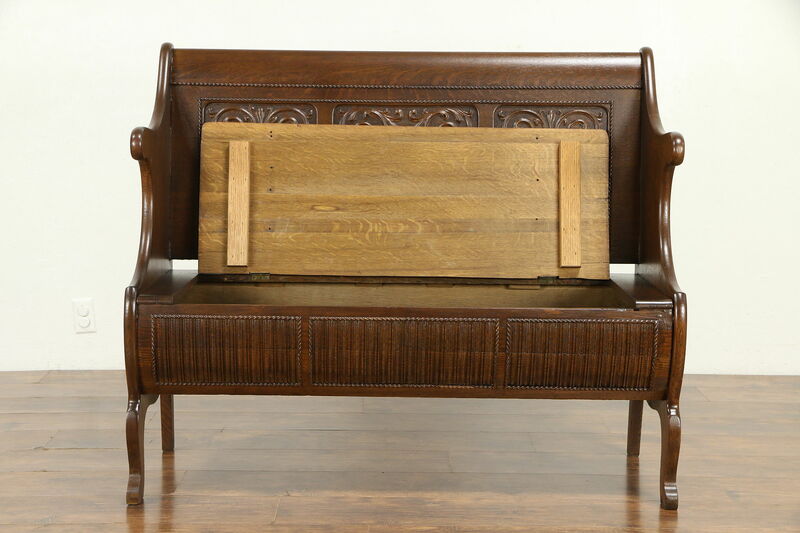 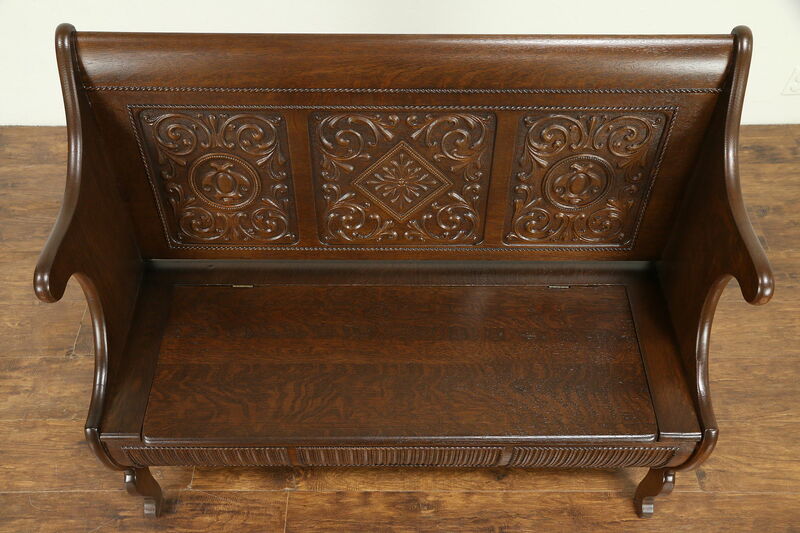 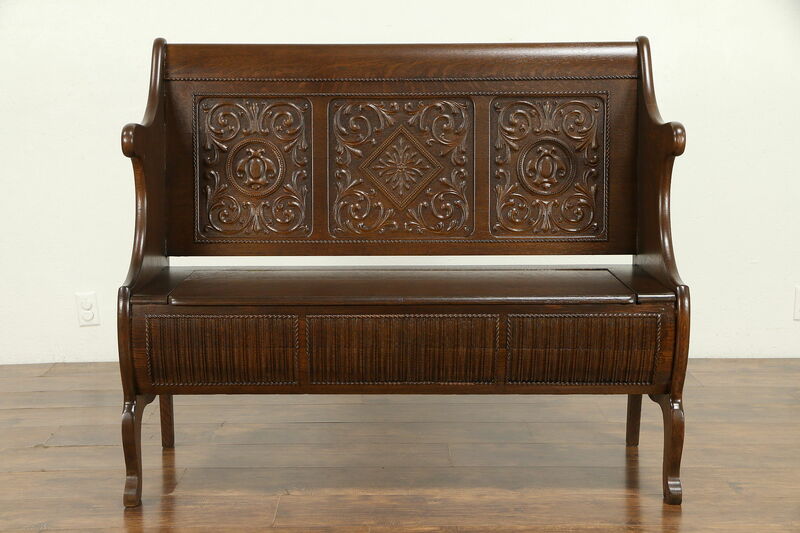 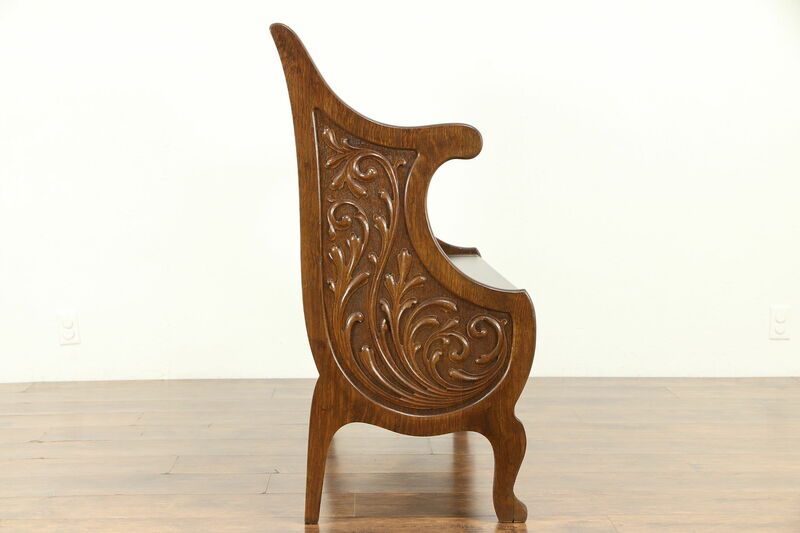 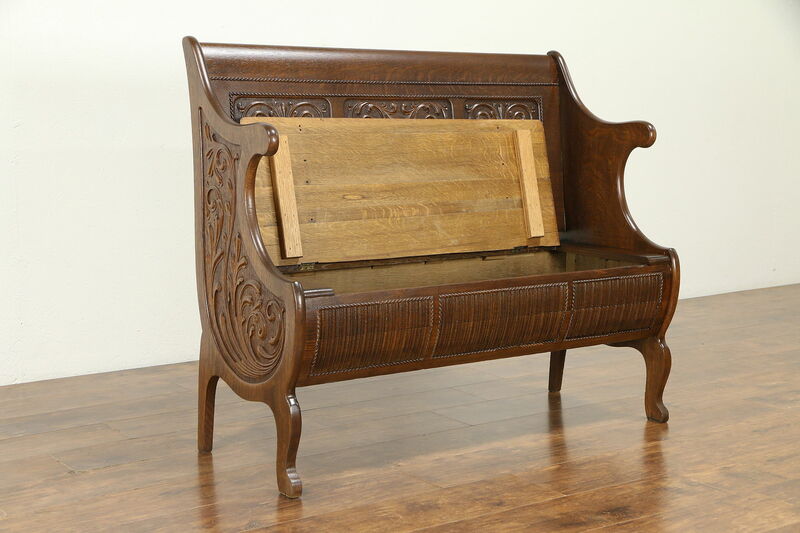 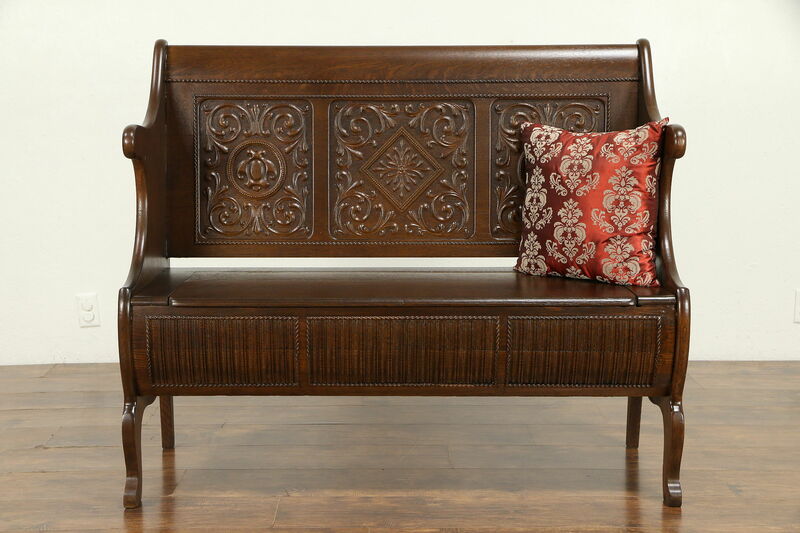 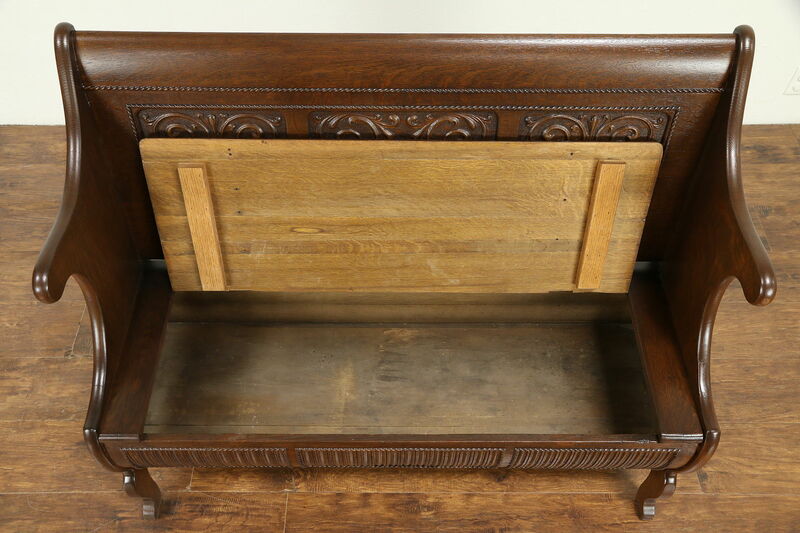 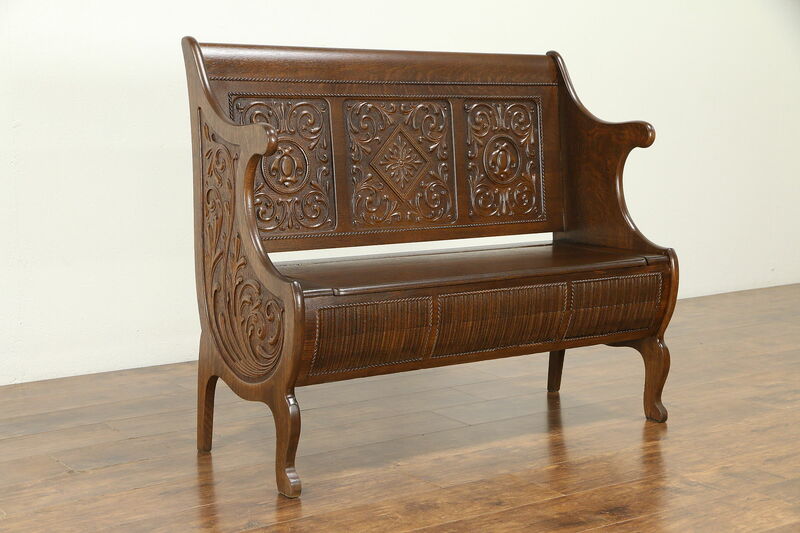 This hall bench was deeply carved of solid quarter sawn oak about 1900, and has storage under the lift lid seat. 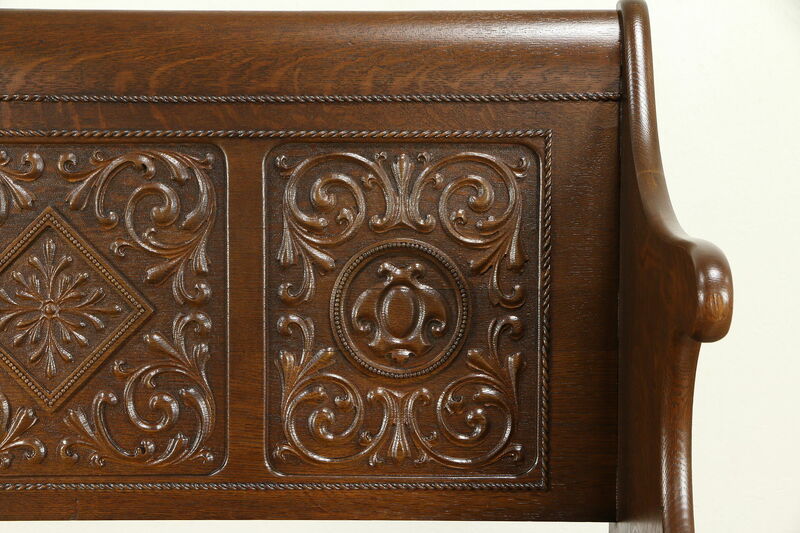 The restored deep finish is in excellent condition, preserving a few mars and shrinkage separations from age. 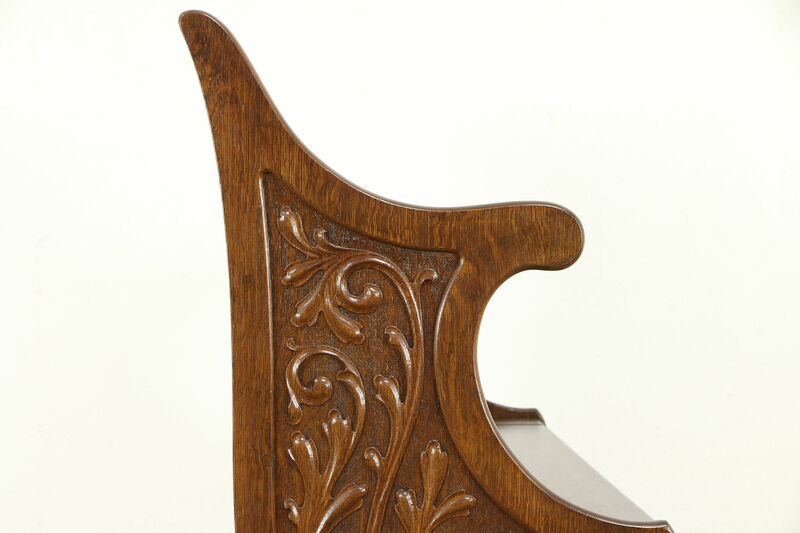 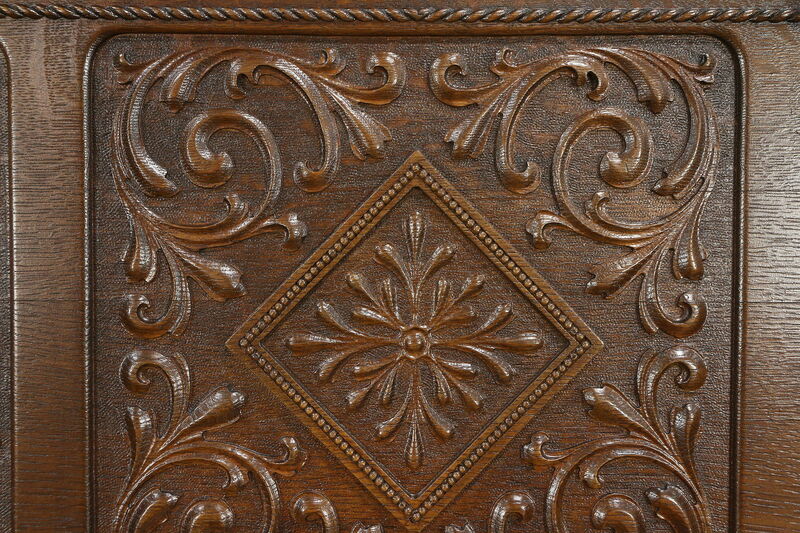 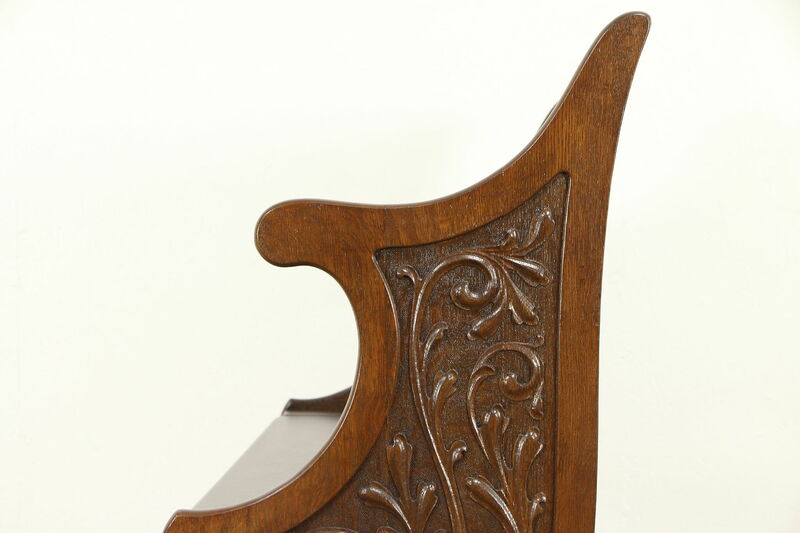 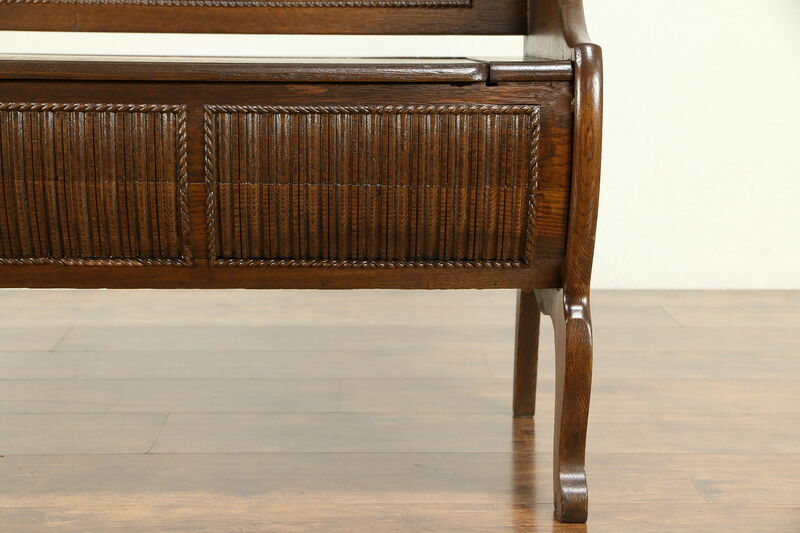 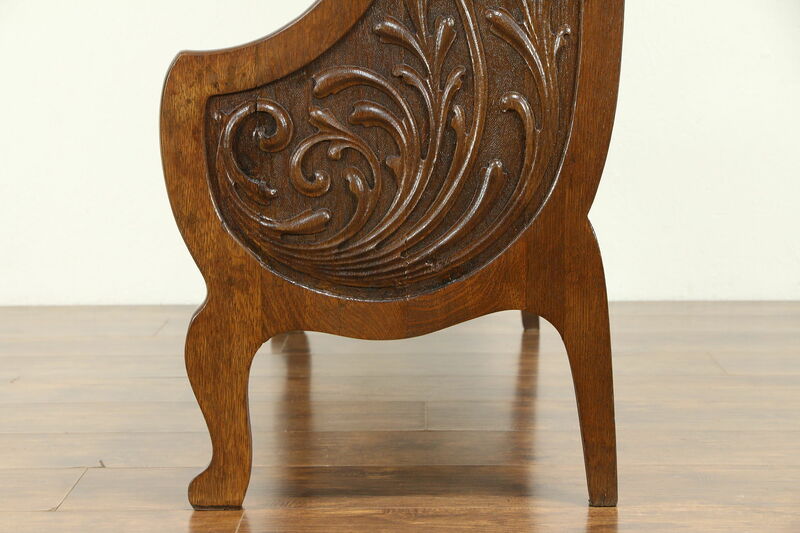 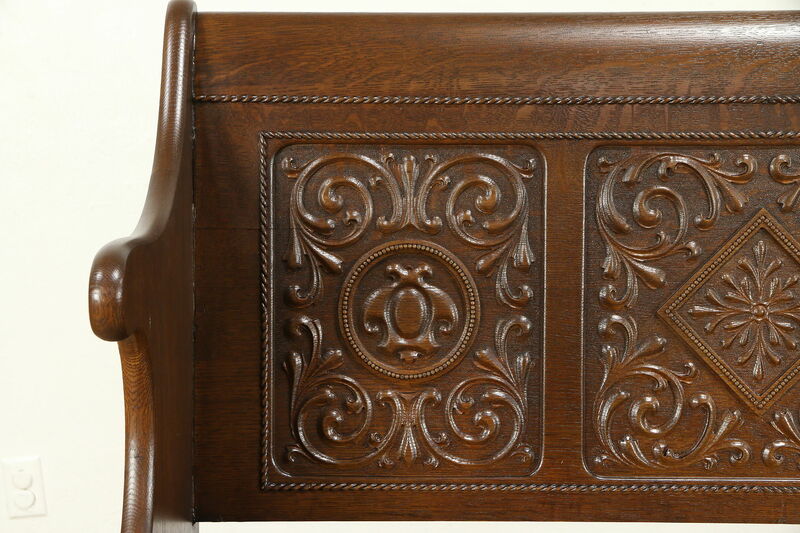 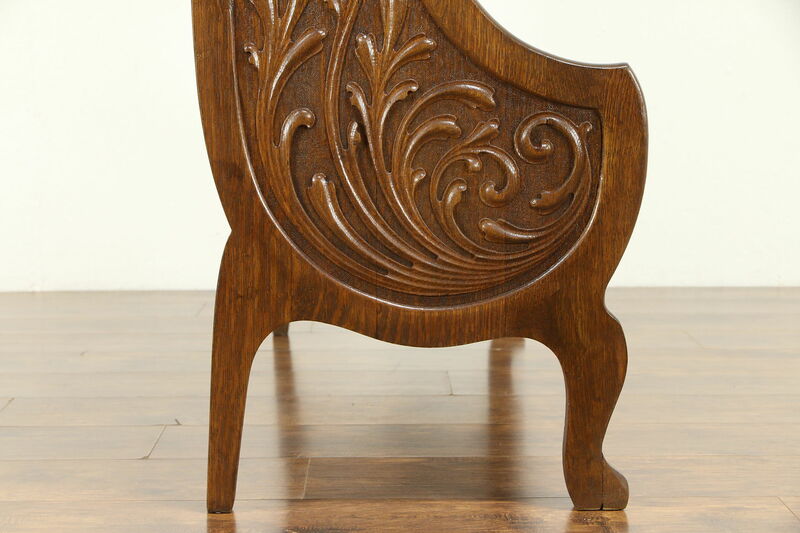 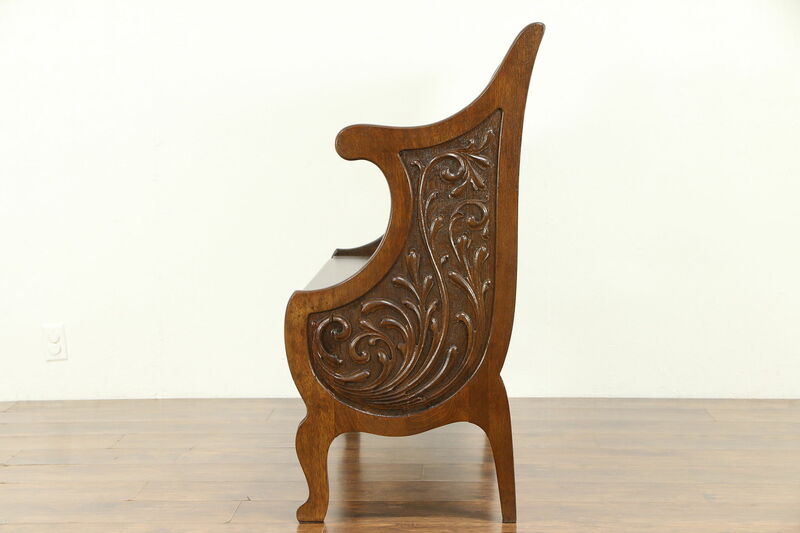 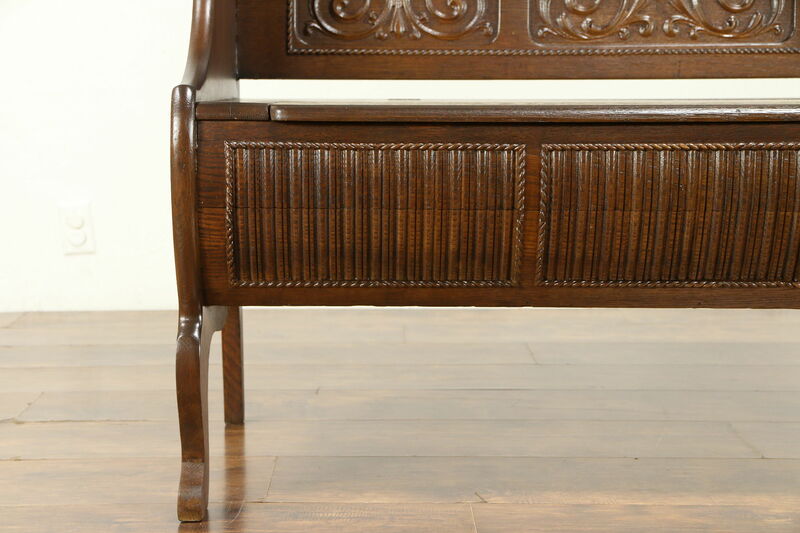 Traditional detailing is beautiful on this antique American made furniture. 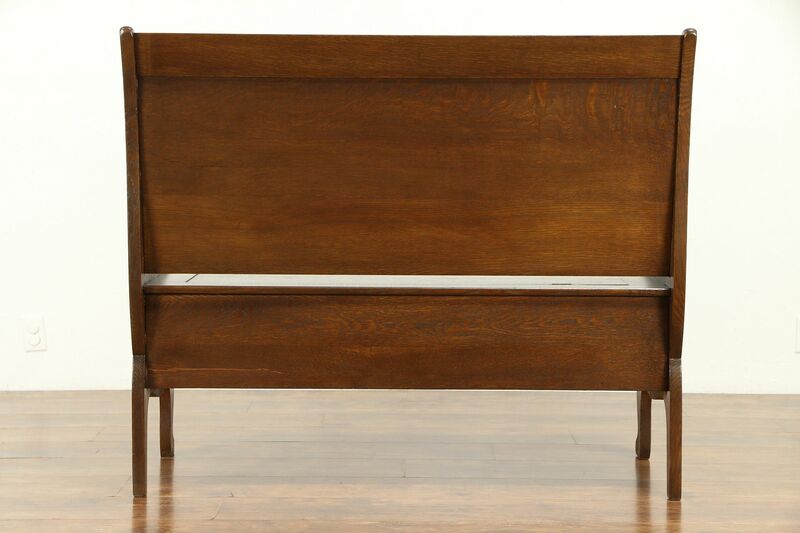 Dimensions are 49" wide, 22" deep, 41" tall and the seat is 19" high.